Weather Master Heating & Air Conditioning installs and services cooling, heating and indoor air quality products that make life more comfortable, healthier and convenient. Our associates are proud to work for a locally owned and operated company with a reputation of proven reliability and performance for more than 42 years. To maintain high standards, we require an exceptional group of people who contribute their talents. Our staff is motivated to seek opportunities to advance their expertise, and to move the company’s innovation forward. As an employer, Weather Master Heating & Air Conditioning supports our team members’ career goals, embraces new ideas, rewards success and opens up career paths. State-of the-Art Training Programs that offer opportunities to stay current with business and industry trends that provide advancement. Take a look at some of our open career opportunities below! Looking for experienced technicians with at least 5 years residential or light commercial experience. Must be capable of diagnosing and troubleshooting air conditioners, gas furnaces and heat pumps. Must be EPA certified. NATE certified a plus. Must have Valid NC driver’s license. Looking for experienced installers with at least 5 years residential or light commercial experience. Must be capable of installing new air conditioners, gas furnaces and heat pumps. Installers must be EPA certified. NATE certified a plus. Must have Valid NC driver’s license. No experience required for helpers. Looking for experienced installers with at least 2 years residential or light commercial experience. Valid NC driver’s license a must. Looking for responsible and reliable delivery drivers. Must be capable of lifting 100 pounds. Must have valid NC driver’s license and good driving record. 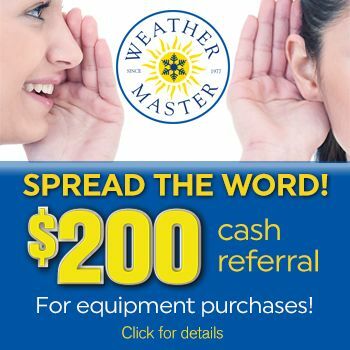 Looking for responsible and reliable people interested in a starter position with Weather Master. No experience is required. Training will be provided.